Understanding fraud is the first step in keeping it from happening to you. By definition, fraud happens when a misrepresentation is made with the intent to deceive. Fraud is a crime and it is taken very seriously. It can cost individuals and companies a lot of money, but a fraud investigation is designed to stop that from happening. By hiring a Riverside County licensed investigator you will be able to determine whether or not a fraud is affecting your life. What Is a Routine Fraud Investigation? Because all fraud cases are unique, each investigation will be slightly different. However, most fraud investigations begin by a Riverside County licensed investigator meeting with you to go over the details of your case. Afterwards, the private investigator will go over the action plan and put it into effect by utilizing numerous investigative, forensic, and surveillance techniques. In certain cases, a Riverside County licensed investigator might also use background checks and/or asset searches to reach a conclusion. 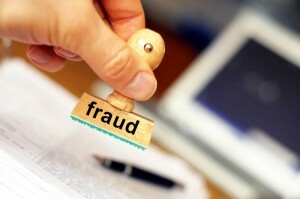 What Are the Different Types of Fraud Investigation? Although most instances of fraud are considered to be “white collar” crimes, it is not always the case. In fact, there are numerous types of fraud and in turn, there must be an appropriate fraud investigation to go along with each of them. A good Riverside County licensed investigator can reveal false insurance claims, handle workers compensation and personal injury cases, get to the bottom of identity theft, and even take the lead on complicated corporate investigations. Generally, a Riverside County licensed investigator is trained to handle all fraud cases no matter how they originate. Contact a Riverside County licensed investigator about starting a fraud investigation as soon as possible. Begin collecting evidence to support your case immediately. Try to start a journal to outline any new instances of fraud. NEVER begin investigating fraud by yourself. A Riverside County licensed investigator is qualified to collect evidence in a legal and ethical way. If you begin a fraud investigation by yourself, it could lead to some of your evidence being inadmissible in a court of law. It is important to understand the difference between committing fraud and telling a harmless lie. A lie does not always cause injury. However, fraud always does. Fraud, like mentioned before, is a lie that is told to misguide or deceive for personal or financial gain. If you feel as though you have a fraud case, contact a Riverside County licensed investigator for more information. For more information on having a fraud investigation conducted on your behalf, or to hire a Riverside County licensed investigator immediately, call (951) 344-6306. We provide you with a free initial consultation and price quote for our services.